If you so desired, you could start learning about property investment and never stop – there’s just that much information out there. Developing a solid understanding of something that could potentially change your life is important. There are many excellent resources online to give you short, sharp lessons on every aspect of property investment, however, it is also great to delve deep into a topic to obtain a more thorough understanding. 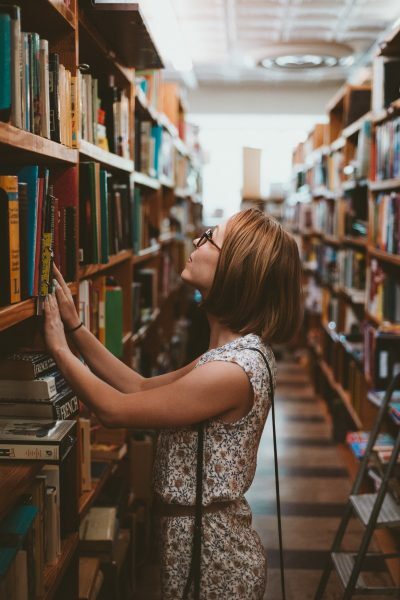 There are literally thousands of books that have been written on property investment, not all great, which is why we’ve compiled a list of the top 10 books for property investors. One of the most popular books in the industry, Rich Dad Poor Dad debunks the myth that you need a high income to become wealthy and discusses the shift in mindset necessary to put you on the path to financial freedom. A celebrated author, Robert Kiyosaki offers valuable insight on how you can turn modest gains into even bigger rewards. Compiled in this handbook is the wisdom and experience of over 100 millionaire investors from all walks of life who pursued and successfully achieved financial freedom. In a no-nonsense, easy-to-read style, Gary Keller teaches readers how to develop the mindset of a millionaire investor, identify great real estate investment opportunities, and how to build the “dream team” for a millionaire investment business. While the other books on this list offer progressive information for beginner and intermediate investors, this book will help turn you into an expert property investor. Often cited as a must-read for real estate investors, Ken McElroy teaches readers how to assess the profitability of an investment opportunity from a cash flow perspective. The goal of Brandon Turner’s critically acclaimed book is simple: to give readers every strategy, technique and tip needed to become a millionaire rental property investor. It covers everything, from calculating your ROI before making a deal to learning about the pros and cons of each type of rental property. Not designed for the lazy, this book is for those willing to learn and do the work for their future prosperity. While some investors and financial planners rave about negative gearing as an investment strategy, this book dives into positive gearing and inspires prospective investors to keep learning and educating themselves. Highly recommended by the Adpen Directors, this is a fantastic book to read if you are looking for financial inspiration. Of course this one was going to make in on the list. The pinnacle of all wealth creation books, Think and Grow Rich seeks to inspire readers to success by studying individuals throughout history that have amassed personal fortunes. Ascertaining that success in any field is possible through the suppression of negative thoughts and a focus on long-term goals, many successful property investors have used it as a reference in their own journeys to financial freedom. If you are in doubt about whether this book is for you, consider this: multi-billionaire and investment genius Warren Buffett said this book has shaped his professional life. Since its original publication in 1949, Graham’s book is still referred to as the most respected guide to investing, helping protect investors and teaching them to generate long-term strategies for the future. Although this title is written for newer investors, it offers valuable insight into diversifying your portfolio across different markets in different geographical locations. It teaches readers the characteristics of great deals, how to stay on top of distant property renovations without the stress or complications, and how to identify the best suburbs to purchase and pass in. Written by George Clason, The Richest Man In Babylon dispenses financial advice through parables set in ancient Babylon. Acclaimed as a modern-day classic, the title serves as inspiration for some of the wealthiest property investors to-date, offering the solution to personal financial problems and holding the secrets to making money. A source of inspiration for many property investors, this book proves that you can start with nothing and still succeed financially. Initially written in 1987, Allen’s book encapsulates the disappointments, the frustrations and pure dedication needed to succeed in real estate and property. A must read for both seasoned and fresh investors. What do you think of our list of top 10 books for property investors? Are there any absolute gems that we’ve left out? Let us know via our social media or e-mail us!